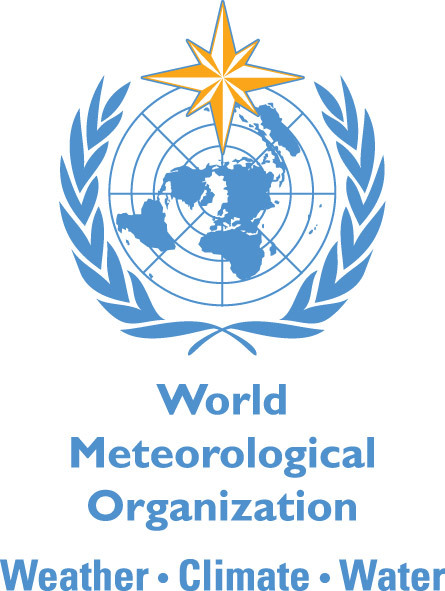 The Hydrographic Programme of the international World Ocean Circulation Experiment (WOCE) was a comprehensive global hydrographic survey of physical and chemical properties, of unprecedented scope and quality, and represents the "state of the oceans" during the 1990s. The "Printed Atlas" is a copy of the published volume and contains full introductory text. The "Digital Atlas" presents the same graphical material, with additional properties and levels, ancillary data sets, and bibliographic material for each of the vertical sections. Click on the map to the left for an expanded view. Print volumes may be ordered by emailing ltalley at ucsd.edu. Indicate "Pacific atlas" in the subject line. 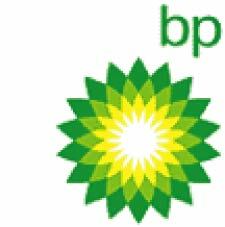 Graphical images are provided as .pdf and .jpg files that can be used in the preparation of written publications, web sites and electronic presentations. 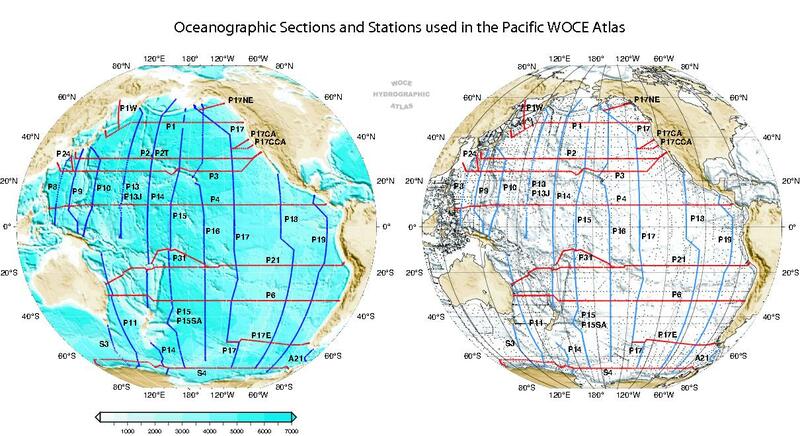 The source of the images should be acknowledged as "From the WOCE Pacific Ocean Atlas". Full citation information: Talley, L.D., 2007. 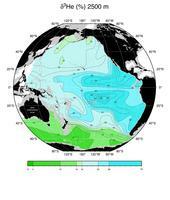 Hydrographic Atlas of the World Ocean Circulation Experiment (WOCE). Volume 2: Pacific Ocean (eds. M. Sparrow, P. Chapman and J. Gould), International WOCE Project Office, Southampton, U.K., ISBN 0-904175-54-5.